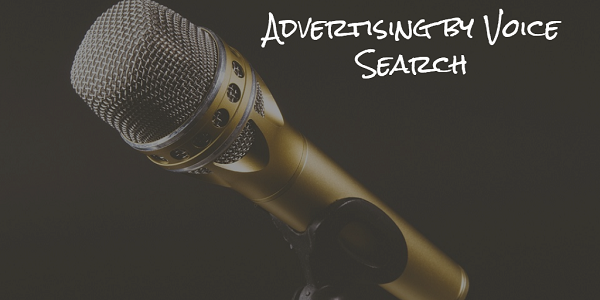 Advertising by Voice Search - eBiz ROI, Inc. In an interview at SXSW interactive back in 2013 Amit Singhal, head of Google’s search rankings division, famously said that “The destiny of Google’s search engine is to become that Star Trek computer, and that’s what we’re building.” Though Star Trek creator Gene Roddenberry isn’t running the show down in Silicon Valley, Google has come a long way toward making that sci-fi dream a reality. One of the most compelling examples of this is voice search. Google has made it possible for its users to receive convenient answers to their questions with vast advances in its natural language recognition technology. This has taken the form of home assistants such as Alexa, Amazon Echo, Google Home, and so on. Though convenience is certainly a great benefit to voice search technology, it’s doing far more than making things easier. This technology is changing the way Google handles search queries, and even the way we see search engines in general. Today at the blog, we’ll be talking about how this new trend will affect Google advertisers, and marketing on the platform. What Exactly is Google Voice Search? As its name suggests, voice search is a function which allows users to conduct a web search by speaking rather than typing their query. With current tech, these voice searches can be performed on both desktop and mobile devices. Some devices require a particular phrase to be uttered to activate the search (such as “OK Google…”), while others have a button which can be pressed to begin listening in for the query. Though in many ways basically the same as typing the search by hand, this process is just less hassle for some. What Do Users Use Voice Search For? Voice search is becoming increasingly popular across all demographics. What exactly is it being used to search for? The answer to that question depends on a user’s age. Adults most often use voice search to ask for directions. This makes sense. Hands free devices are a lot safer and more compliant with driving laws than typing on a screen. Younger folks however use the technology for a variety of other purposes including dictating text messages, making calls, checking the time, and playing songs and other media. This may not seem like particularly useful or exciting information at face value. But consider that in 2017, nearly 24.5 million mobile devices were shipped worldwide. Combine that figure with signs pointing toward further increasing sales of voice compatible devices, and a trajectory becomes clear: voice search is only becoming more popular. It’s not going anywhere. Why the sudden uptick in popularity? Partially, ubiquity joins convenience on the list of explanations. Many Americans and people around the globe are purchasing “smart home” tech. This tech is often voice activated. Additionally, the average person can type only 40 words per minute, but can speak as many as 150. This allows for greater specificity in a search with significantly less effort. It’s quicker and easier to say “OK Google, find pizza shops near me” when you’re hungry than having to pull out your phone and type it in manually. What Should Advertisers Do With Voice Search? Google, Amazon, and other major players in this market are still figuring out how to utilize this technology best for advertising. While we wait to see what they can come up with, there are a few steps that PPC based marketers can do now to make sure they’re ready for the revolution this new technology could bring. Focus on Your Brand – Be sure that people have heard of your business. When they make a search for something they need, you’ll want them to be likely to think of you first. 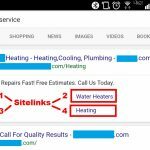 Have a Solid Remarketing Strategy – Repeat customers are common among users of smart home systems. Customers are likely to buy items from a vendor they know and trust. Take advantage of this! 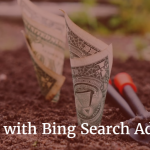 Pay Attention to SEO – Until Amazon and Google figure out how they want to monetize ads on these platforms, organic results are your best hope of being found through voice search. For that reason, make sure to set up your site to make the most of organic searches. Be Local, Be Specific – Hyperfocus your campaigns and give users the most relevant information possible. This increases the likelihood that they will respond positively to your result. Test Your Mobile Website – As always, make sure your mobile site is user friendly and can handle as much traffic as possible. If someone does click on your ad, you want to make sure you can see them through to the end of their customer journey. 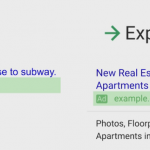 Voice search is changing the landscape of PPC search advertising as we know it. 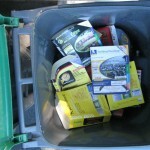 Unfortunately, we do not yet fully understand how this new technology will shape the advertising world of tomorrow. We can take steps to make sure that we are ready to meet this new tech. From there, use it to grow our businesses and spread our message to potential customers. We’ll be sure to keep you up to date with new information as it becomes available. Until next time, Happy Marketing!